To say I am behind with my blogging at the moment would be a vast understatement. I am really really behind! I’m still planning on writing about holidays I went on at the end of last year and haven’t quite got round to it. I’m aiming to catch up by the end of the year and go into 2017 all fresh and ready to work on new content. We’ll see! 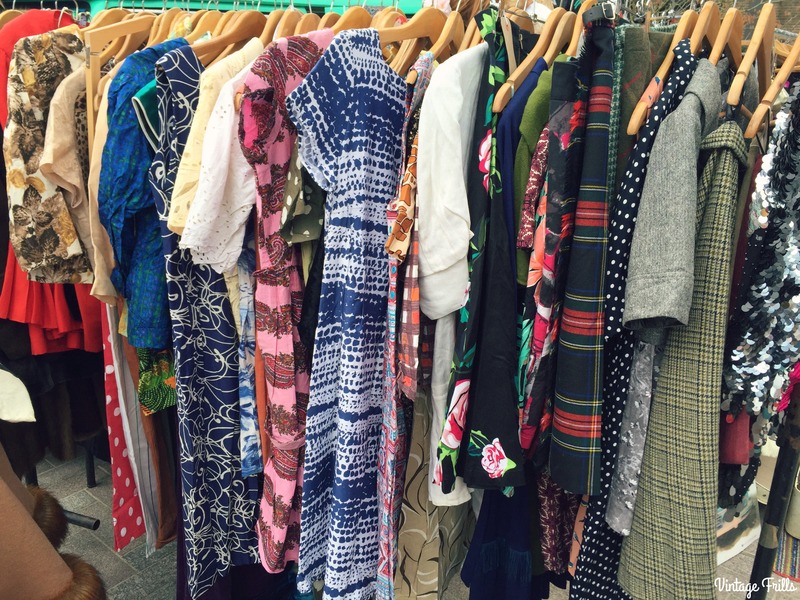 I really want to talk about all the vintage events and days out I’ve been on this year, because they are my favourite part of blogging. So today I wanted to write about an event I went to all the way back in April. 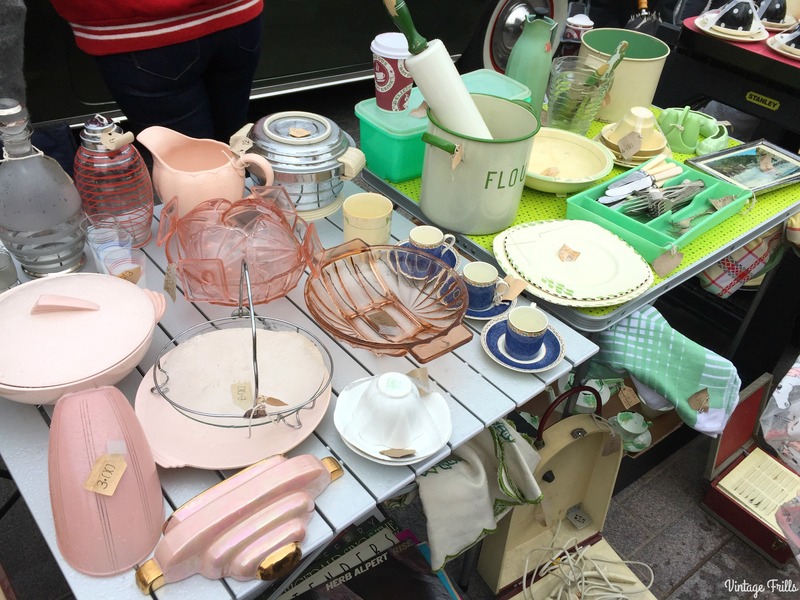 I’ve blogged about The Classic Car Boot Sale lots of times before on the blog. 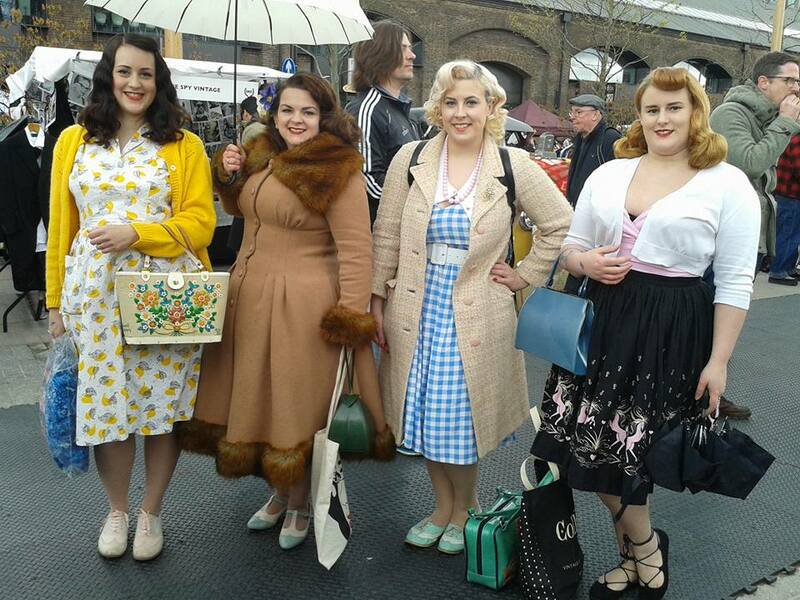 It’s one of my favourite vintage events and it’s always a good place to meet up with friends. I go to the event almost every time it’s on. I must say I preferred it when it took place on the South Bank, but its still good in its new Kings Cross venue. The event is basically a car car boot sale, with only vintage things on sale, sold from classic cars. There is also plenty of street food, a bar in a bus and lots of fabulous music. This time I went with some lovely people from the Most Marvellous Meet Ups Group. It was lovely to finally meet some people I’d been friends with online for ages, it was a bit like a mini blogger gathering. I was joined by Sarah from Lipstick and Dresses, Nicole from Coco Von Vintage, Carrie-Ann from Something Definitely Happened, Holly the biggest vintage enthusiast I know, and Rhina, all round fabulous lady and multi lingual scientist. In other words a wonderful bunch of inspirational ladies, with extremely good dress sense! 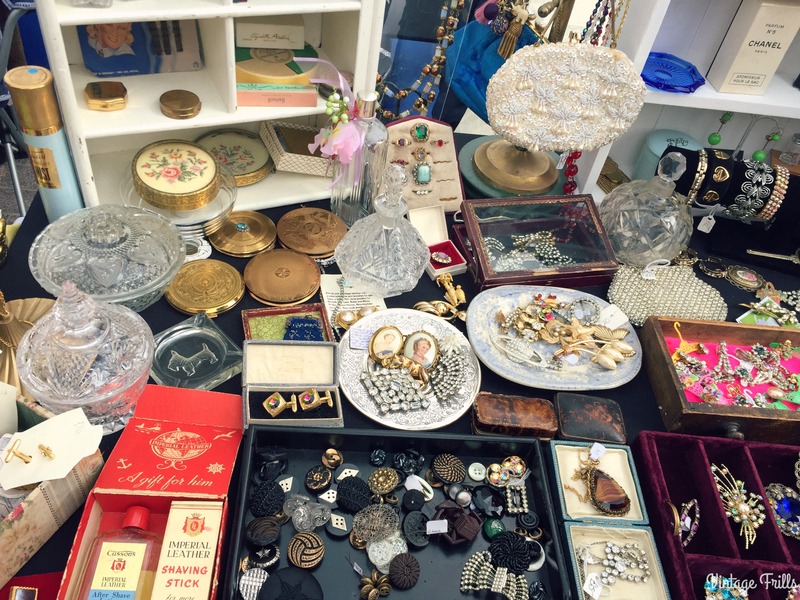 One of my favourite things about The Classic Car Boot sale is the amazing sellers, I love the huge mix of vintage products on sale, from fashion to homewares to curios, there is something for everyone. I really enjoy looking through all the interesting things and spotting stuff I’ve not seen before. 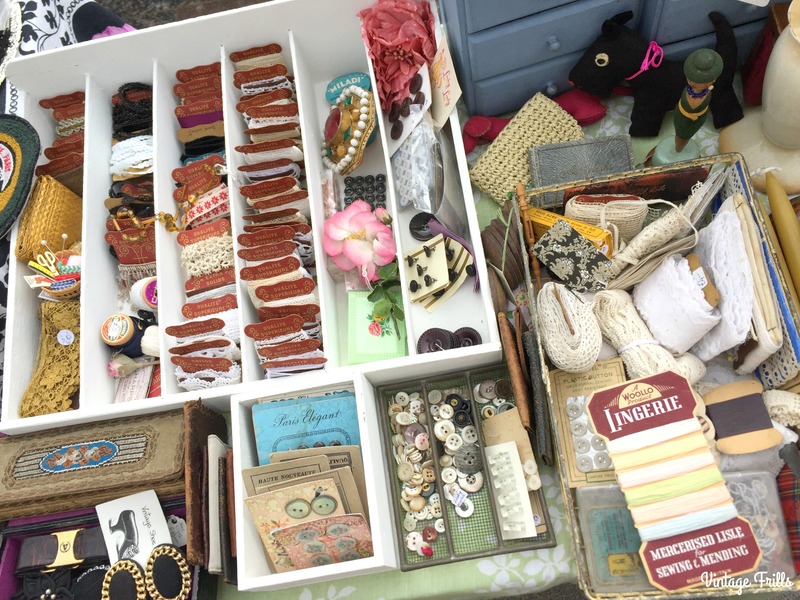 It’s a great place for a rummage and there is something there for every budget. As usual while I’m out with friends I didn’t take that many pictures and I’ve blogged about the event several times before. So I mostly just enjoyed myself. So I’ve just shared a few of my favourite things from the day. There were absolutely loads of stalls there and we all found a few nice things to take home with us. If you’re in London when one of these is taking place, I would highly recommend it. Even if you’re not shopping, its a good one for having a look and enjoying a few drinks and something to eat with friends. If you like classic cars there are plenty of them to admire as well. The next Classic Car boot sale will be in Kings Cross next April. Find out more on the Classic Car Boot Sale Website.